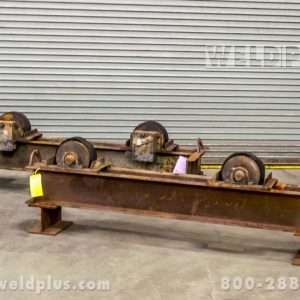 This Lincoln Tanker 150 75 Turning Roll Set has solid state controls with dynamic braking on the rotation drives. 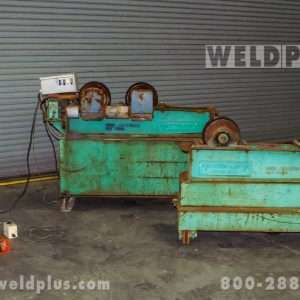 The tankers are designed to meet the needs of the weld shop that handles a wide range of diameter sizes. 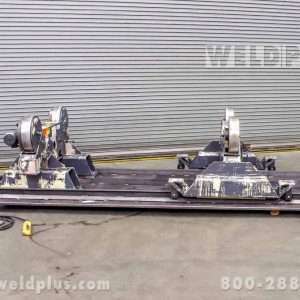 Since there are no wheel adjustments for different diameters, they maintain a constant center line, providing a quick change over from one size work piece to another. 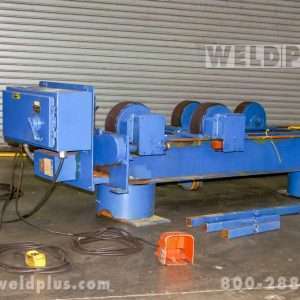 These rolls have an optional plug and play foot pedal, allowing your pipe fabricating shop to switch easily from a variable speed foot pedal to the forward-stop-reverse model when needed. Like New – Never used in Production!